The young Christian artist Jamie Grace will be part of the 2013 Winter Jam tour after breaking into the music business when Christian star Toby Mac discover the girl from Atlanta through YouTube. Her hit single “Hold Me” was released in 2011, skyrocketing to #1 on the Christian charts and helped earn her the 2012 Dove Award for New Artist of the Year. Winter Jam 2013 will also feature TobyMac, Matthew West, Sidewalk Prophets, Jason Castro, Royal Tailor, Red, Capital Kings, OBB and speaker Nick Hall. Grace and company will be on tour, performing over 40 shows in the first three months of 2013. The Global Dispatch’s Brandon Jones spoke to Grace about her career, TobyMac, Christmas, the upcoming Winter Jam Tour and some personal stuff. BRANDON B. JONES: Let me begin by thanking you for your time and letting you know my daughters are ecstatic that I get to speak to you. BBJ: So, the story is pretty public now, but you were discovered by TobyMac through your YouTube page. Tell me how that played out. Did you even believe it was him at first? I thought it was a weird prank. Later there was some screaming, crying and craziness. My Mom and I went to Nashville, meant in his office and it has been crazy ever since. BBJ: What do you call him? Toby? TobyMac? Kevin? Mr. McKeehan? JAMIE GRACE: Yeah, that was weird. I grew up saying ‘Maam’ and ‘Sir’ or you call an adult Mister or Misses, maybe Uncle or Aunt if they were close. It’s kinda of a Jamaican thing I guess. I couldn’t just call him Toby. He introduced himself that way…I couldn’t do it. I didn’t really call him anything for awhile and then it was “Uncle Toby” and now just Toby. I’m really close to his wife and kids. They are like a second family to me now. JAMIE GRACE: It was hard to believe this was a song I wrote on the floor of my dorm…that this would have this kind of impact. They were playing it commercially, weddings…God used my song like this. You pray for God to do something big, but it’s crazy and a very humbling experience. BBJ: Describe the scene, filming this video with TobyMac (see below) and the amazing rise to have a #1 single. JAMIE GRACE: Oh it was an annoying experience….how cold it was….like 30 degrees in a convertible. I was so cold and so tired. I just wanted to curl up in bed with a bowl of soup. BBJ: It’s Christmas time, so let’s talk about “Christmas Together.” This seems very biopic, the wonderful family time and hanging with your friends. First, what was Christmas like growing up? How did that shape the song? JAMIE GRACE: It was based mostly on one recent Christmas, listening to Johnny Cash, my parents slow dancing – weirding us out! It can be lonely, but it’s not. The love, admiration…the time, we enjoy the time together. In a “non-creepy way” we are watching them, how great it feels. BBJ: So, are there Christmas family traditions? JAMIE GRACE: Our family sounds all sweet and precious, but we are vicious. My parents are pastors, but we have this…well, we lie a lot. We surprise someone with a big, big surprise. You don’t know if you are in on it or getting it. BBJ: You’ll need to elaborate. BBJ: Let’s jump to Winter Jam. This is your first tour? Have you seen the show before? JAMIE GRACE: We did the West Coast with a different lineup. I saw Winter Jam in high school, in Atlanta. It was amazing. Now this is a dream come true. As a teenager I remember wishing I could go up there on stage, join them. Then you get the call…It’s a huge blessing. BBJ: There are so many amazing artists on tap for this show, who are you most excited about seeing perform? JAMIE GRACE: Love them all…everybody. Capital Kings, love these guys, just what the music industry needs. (They are) Pop, rock, hip hop, dance – Perfect for my age, young, cool, even in the way they dress. The Oswald Brothers (OBB) from Georgia…we are friends on MySpace and dreamt of doing a song together. The mentors, like TobyMac…love them. But there’s something about being with all those your age, get pizzas and hang out. BBJ: That just created a surreal image for me. JAMIE GRACE: I’m obsessed with pizza. I love to eat pizza. I was going to have some but didn’t want to eat during the interview. BBJ: (LAUGHS) I counted 44 cities in three months, this is pretty exciting eh? I get to see you in Tampa and I believe you were hear this last summer. Atleast it’ll be warm once on the tour. JAMIE GRACE: I know. Yeah, I don’t like the cold weather. I don’t like the tiniest bit of cold. Florida will be amazing. BBJ: Let’s circle around to more personal stuff. You just graduated from college, congrats. How much has that changed your perspective on things? JAMIE GRACE: Um, definitely changed perspective for me, feel like you’re growing up and that’s weird. My degree was in child and youth development, how the brain works and I love to work with young people. Even if I was not in music, not having a music career, which is a ministry I know, but if I stop touring or whatever…I’d still wanna be with youths. The message in my songs would be shared some other way: God is love, God is Joy. I love the wonderful, childlike faith, not second guess it, know it’s real. You can be passionate and connect when you are young and if young kids know more about their Savior – It’s a blessing! BBJ: One struggle I’ve briefly read about is that you’ve battled Tourette Syndrome. Tell me more . JAMIE GRACE: Yeah I mean I was….I heard a testimony, husband had passed away and how God picked her up, carried her…. I saw what God was doing…the work BECAUSE she shared it. God can do work in my life…so now share it. I was so insecure, didn’t want anyone to know. Now I see that I share it or miss out on God’s work in me and thoughout our lives. BBJ: Wow, that was awesome. I want to thank you again for your time and I look forward to seeing you at Winter Jam. 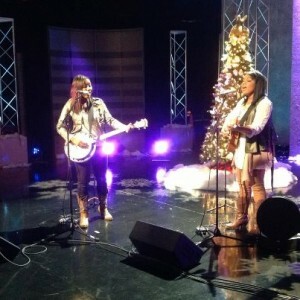 JAMIE GRACE: It was awesome. Thanks. 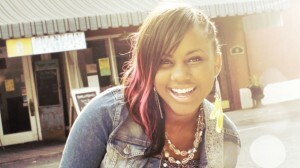 Get tour dates information as Jamie Grace’s website here, follow her on Facebook here.